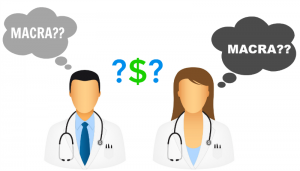 Deloitte MACRA Survey: Half of Physicians Unaware Of Significant Payment Changes – Medical Billing Solutions, Inc. Many physicians aren’t aware of MACRA and still view value-based reimbursement with skepticism. A significant stumbling block to MACRA implementation in 2017 is physician awareness of its provisions and requirements, according to a 2016 Deloitte physician survey. Half of physicians with a high share of Medicare beneficiaries reported no knowledge of MACRA with another 32 percent only recognizing the name. Compared to nine percent of employed physicians, 21 percent of independent practitioners reported being aware of the forthcoming changes to Medicare reimbursement via MACRA’s Quality Payment Program. Another stumbling block for physicians transitioning for volume- to value-based care is the concern over the resources necessary for quality reporting. Nearly three-quarters of respondents considered reporting to be burdensome, likely contributing to the 79 percent of physicians who are against tying compensation for quality. At MBS Inc., we are committed to helping small, independent practitioners remain independent and profitable. We strongly encourage physicians with Medicare beneficiaries make their opinions and suggestions heard during the open comment period between April and September, 2016; in November 2016 the final rules will be published for MACRA’s implementation. To learn more about Medical Billing Solutions, Inc services for physician practices, click here.